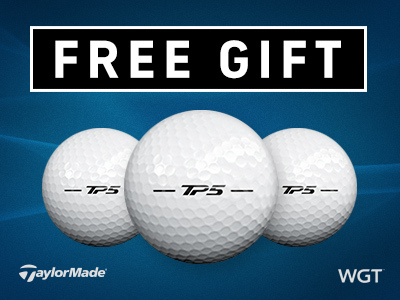 Get 3 of the new TaylorMade TP5 balls free today when you buy 2,000 or more WGT Credits! The weekends are for golf, so don't miss this special offer to get some of the newest golf balls on WGT into your bag, free. These virtual golf balls from TaylorMade are a great addition to your virtual golf bag, adding more control, spin, distance and a slower swing meter to help lower your scores. 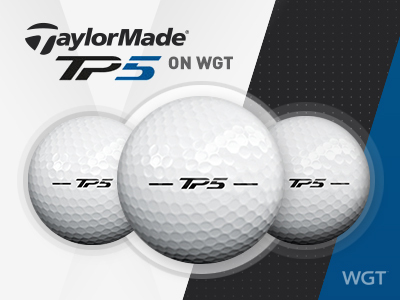 *Special offer for players that buy 2,000 or more WGT Credits today through tomorrow (4/27/18-4/28/18) on WGT, get 3 TaylorMade TP5 virtual golf balls (L47+). 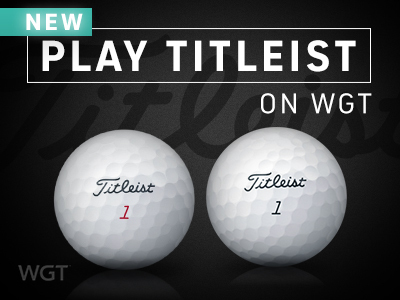 We're so excited to announce that Titleist is available NOW in the WGT Pro Shop! We've heard from so many of you that you'd love to be able to play with Titleist for a number of reasons... So your virtual golf bag can match your real world golf bag, so you can try Titleist gear before you take it out on the real course, because you love the brand, etc. Players at ALL levels have a Titleist virtual golf ball to choose from in the Pro Shop to improve their game, adding distance, control, spin and a slower WGT swing meter. To celebrate, we're giving you a free Titleist ball just for logging in any time between now and Sun, 4/29 so you can try it for yourself. Note: The ball won't be auto-equipped, so be sure to equip it in your inventory! *Special offer available to WGT players, log in 4/26/18-4/29/18 and receive one new Titleist Pro V1x Vapor Ball (L0+). Introducing Titleist, for the first time ever on WGT! We've added new virtual Pro V1 and Pro V1x balls to the Pro Shop for you to upgrade your game, as well as new golf balls from TaylorMade – all available now. One of the most-requested golf brands from players is now available in the WGT Pro Shop – with an option for any level player! This classic name in golf is a top performer, improving your game overall with options to add more distance, control, spin and a slower WGT swing meter. Plus, if you're into vapor trails you have those options too, to help make all your shots easier to track. 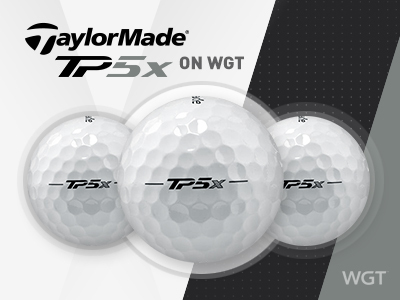 Get the new TP5 and TP5x virtual golf balls from TaylorMade for more control and a slower swing meter. Great for mid-high level players. Coming soon... 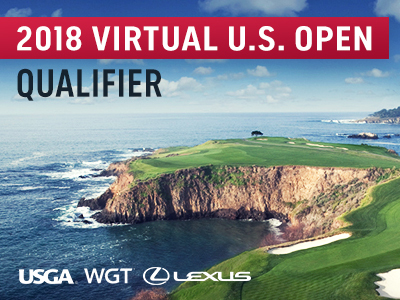 Play the main event of the 2018 Virtual U.S. Open, the Qualifier tournament featuring 18 holes of unlimited stroke play on the new 10th anniversary course. This special course was created to celebrate 10 years of the Virtual U.S. Open on WGT and features two holes from the previous nine U.S. Open Championship host courses. Two players will each win a grand prize trip to the 2019 U.S. Open at Pebble Beach, one lucky sweepstakes winner (regardless of their score) and the top leaderboard score. 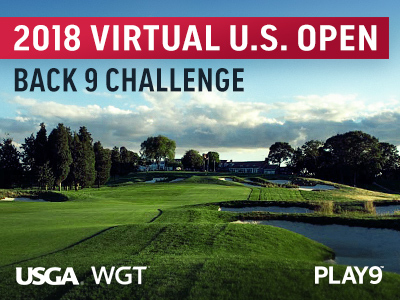 In the meantime, the Virtual U.S. Open Back 9 Challenge is open now for a preview of the back 9 holes of the new course in a closest-to-the-hole tournament. Be sure to enter and play now! 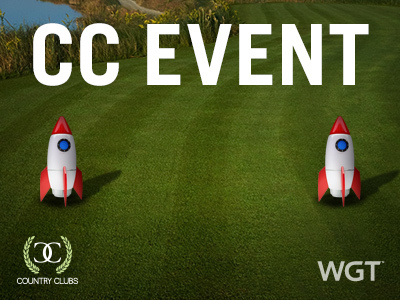 Compete now through Fri, 4/20 with your country club for your chance to win these Rocket Ship tee markers and flags. Take off to the moon and back with these tee and flag prizes, plus other in-game rewards like Course Builder currency for the top 500 clubs to create custom courses. 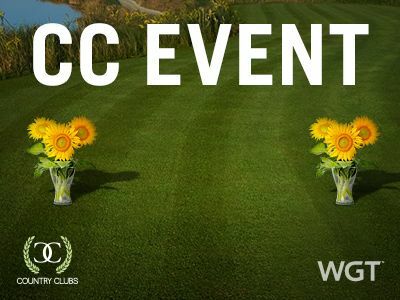 CC Event #71 runs 4/19-4/20 with multiple 4-hour Clashes, so be sure to play as many games as you can for your club and keep your eyes on the leaderboard. 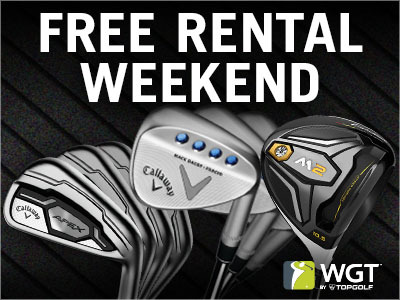 Get free virtual club rentals on WGT this Saturday and Sunday during the Masters. While you're following the action at Augusta, try out virtual equipment on WGT like the Callaway Great Big Bertha Epic Driver, all the new Cobra F8 and F8+ clubs, SeeMore Putters, Ben Hogan Irons, or any of our other popular virtual clubs you've been dying to get your hands on. To rent clubs, just find the club you want in the Pro Shop, click the *RENT* or *TRY ME* button and it's yours free for 24 hours. You can rent as many clubs as you want for free during the promo, Sat-Sun 4/7/18-4/8/18. These flowers are just for you! Compete now through Fri, 4/6 with your club for your chance to win these Sunflower tee markers and flags. Brighten up your day and your game with these tee and flag prizes, plus other in-game rewards like Course Builder currency for the top 500 clubs to create custom courses. CC Event #70 runs 4/5-4/6 with multiple 4-hour Clashes, so be sure to play as many games as you can for your club and keep your eyes on the leaderboard. This year marks the 10th anniversary of the Virtual U.S. Open on WGT so we've created a new course made up of the best holes from the past nine U.S. Open Championships. You can get a preview of the back 9 holes of this new course in the Back 9 Challenge, a quick 9-hole closest-to-the-hole tournament. You also still have time to compete in the Front 9 Challenge for a preview of the front 9 holes, open now through 4/30.